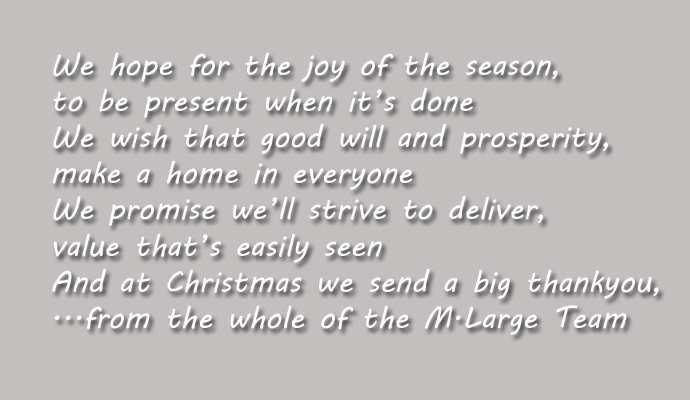 M Large would like to take this opportunity to thank all our valued customers for their business with us over the past year. We appreciate your continued support and wish you all a Happy & Peaceful New Year. http://demo.mlarge.com/wp-content/uploads/2017/01/mlarge-logo.png 0 0 clive http://demo.mlarge.com/wp-content/uploads/2017/01/mlarge-logo.png clive2014-12-31 14:27:122017-02-14 10:35:17HAPPY NEW YEAR! We in the forestry and firewood machinery sector have done our bit to supply woodfuel from firewood processors and kindling machines ,so that we can all enjoy toasty open fires and wood stoves. It’ll soon be time to take a little time off with our nearest and dearest so before we do, we reflect on the year passed. 2013 was a very busy time for M.Large. Being announced as Official distributor for Greenmech for Ireland in addition to N.Ireland. Launch of a completely revamped website. Visiting Elmia forestry show in Sweden. Signing dealer/distributor agreements for Nokka ATV trailers and cranes, Biojack energy grapples , Lipa flail mower heads…and more. Winning “Best commercial Stand” at Irish Forestry Show 2013 in Stradbally. First full year working in partnership with our sister company Clarke Cunningham Tree Maintenance. CHRISTMAS AND NEW YEAR’S OPENING HOURS AND LAST PART ORDER DATES. We’ll soon be taking some time out and we want to make sure you know when the office will be closed and when last parts orders are being sent out etc. Parts ordered by 3pm on Mon 23rd December will be despatched and should be delivered in advance of Christmas closure dates. The office will be closed from Tues 24th December at 5.00, re-opening on Mon 30th and Tues 31st December, and then closed for 1 day on 1st Jan 2014. Normal trading and opening hours will apply following the office reopening on 2nd Jan 2014. Any parts orders placed by 3pm on Tuesday 31st December will be delivered Thursday 2nd January…except Scotland, which will be delivered Friday 3rd January. So in closing this post, we would like to wish all of our customers, friends, families and those who have supported us a most peaceful Christmas and a prosperous and Happy New Year. 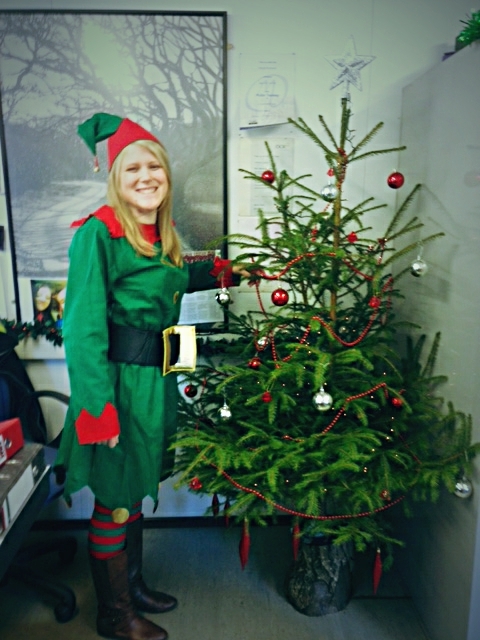 We look forward to assisting and serving you in 2014…Happy Christmas. Click on the reindeer for a little fun….and if it annoys you-click on Santa. 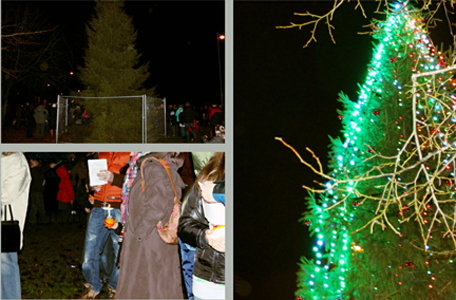 STORMONT CHRISTMAS TREE – BEFORE, AFTER….THEN AFTER AGAIN! 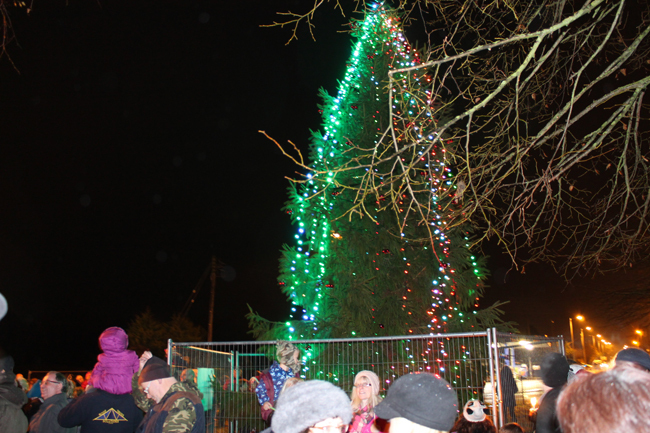 So when we said it was the most important Christmas tree in the country after posting about installing it, we weren’t too far wrong! Twitter and Facebook had pics, posts and tweets galore when it was blown over by the unforeseen high winds that battered the UK. 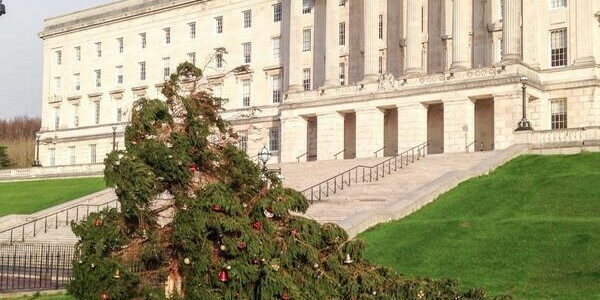 So as we have been involved with the installation, the post storm clear up and now the restitution of the Stormont Christmas Tree, we thought people would like to see it back and proud again. The gallery below consists of the photos of before, after (from Twitter) and then after again. Good to see normality again at Stormont. http://demo.mlarge.com/wp-content/uploads/2017/01/mlarge-logo.png 0 0 clive http://demo.mlarge.com/wp-content/uploads/2017/01/mlarge-logo.png clive2013-12-06 10:56:102017-02-14 10:53:48STORMONT CHRISTMAS TREE – BEFORE, AFTER….THEN AFTER AGAIN! 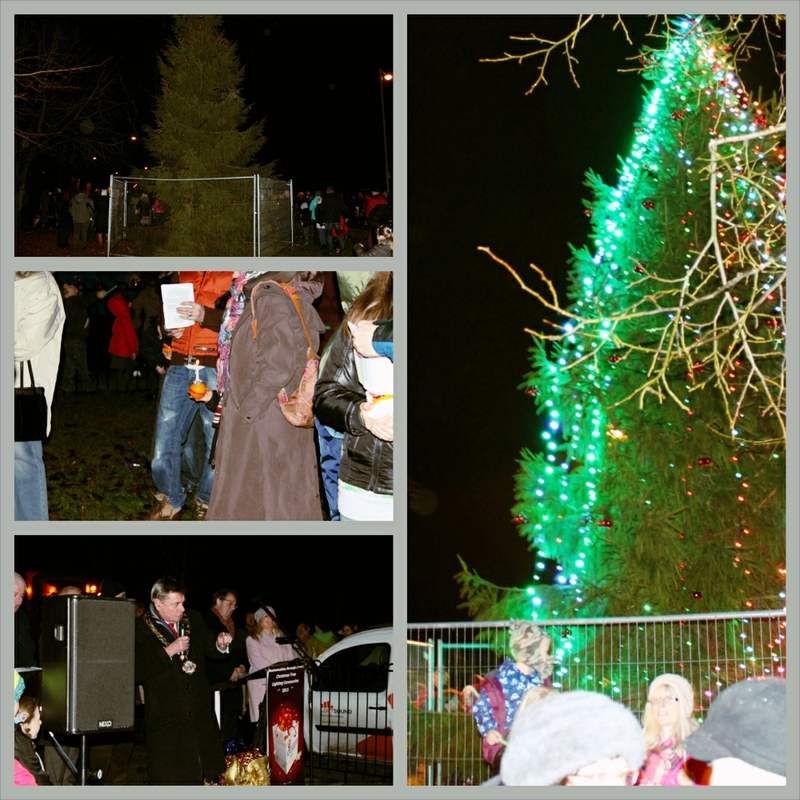 We were delighted to be able to attend the annual Christmas light switch on at Ballyrobert village in our own Co.Antrim. The event literally brought the entire village out (and it was a wee touch wet too!) 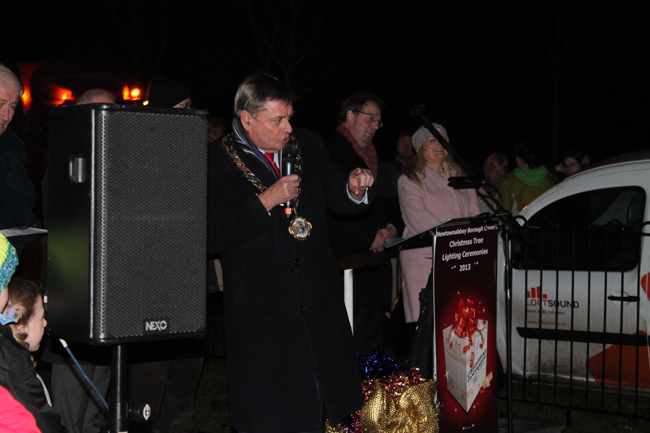 to celebrate the start of the festive season for the village. and I have to admit with probably 250-300 people attending, there probably weren’t many residents missing…so he’s right! 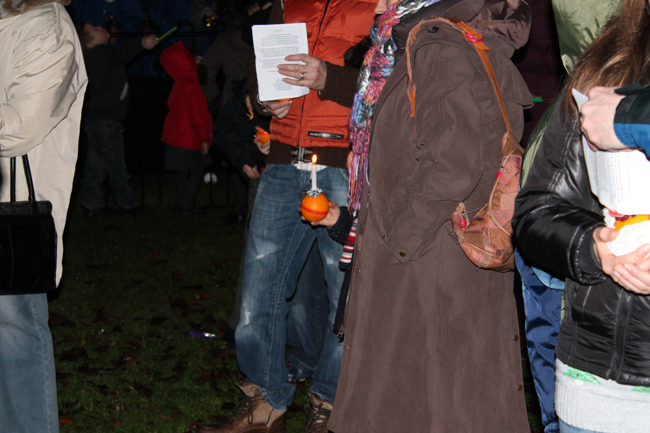 Some held candles and traditional Christingles giving a sense of warmth and cheer on a chilly night. 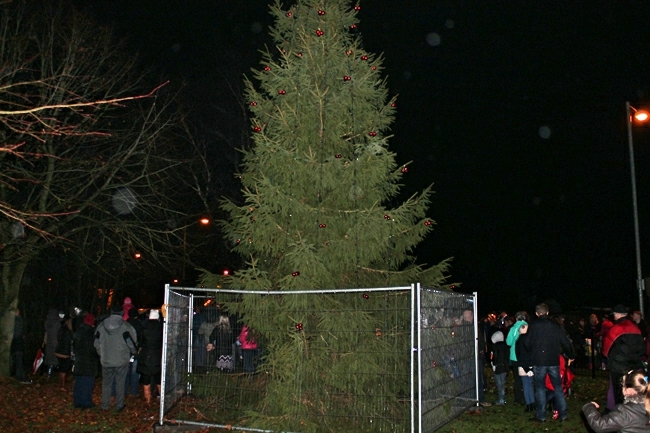 After the formal programme had finished, the lights were switched on and the tree took on a new lease of life. 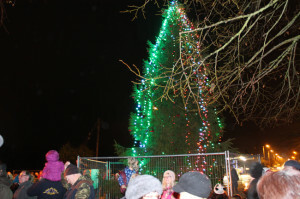 We think it looks great…well done Ballyrobert, good to see community spirit alive and well in tough times. 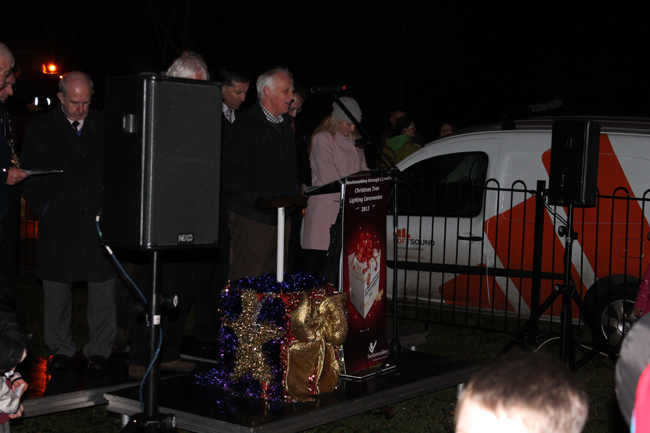 Oh yeah…then Santa arrived in a police car with screeching tyres and sirens blaring….but that’s another story altogether.